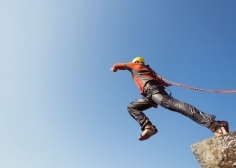 Sports and Leisure in Greece – CC Talents – We Hire Talents! In the past two decades sports in Greece went through a major revival with a large number of modern sports facilities constructed in and around the capital. Nevertheless, the city’s sports infrastructure has seen great improvements as a result of the 2004 Olympic Games that were hosted in Athens. In addition to the existing plethora of sports facilities, one big sports complex was built for the Olympics 2004, where sports like judo and fencing were hosted. It is located on the site of a former horse racetrack at Faliron Bay and its post-Olympic use is that of a state-of-the-art conference centre. The coastal Aghios Kosmas National Youth Athletic Centre, a 78-hectare area that superbly hosted the 2004 Olympics sailing event, has undergone extensive improvements with upgrades including an expansion of the centres housing up to 204 beds. The nearly 20-year-old Athens Olympic Sports complex in the northern Athens suburb of Maroussi, including a 75000-seat Olympic Stadium, has also been upgraded. It hosted the swimming, track and field 2004 Olympic competitions while the complex’s 18000-seat stadium hosted the Olympic basketball finals and its Velodrom was the venue of the Olympic cycling events. 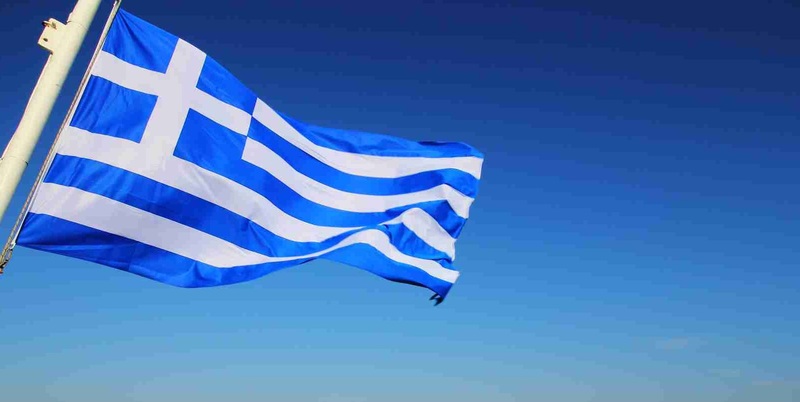 Since the late 80’s Greek athletes have been distinguished in many sports, from soccer, basketball, track and field to weight lifting and sailing. For golf aficionados there is an 18-hole golf course at the affluent seaside suburb of Glyfada. The endless list of available sporting and leisure activities includes tennis, gliding, horse-riding, bird-watching, sailing, skin-diving, water-skiing, hiking, bowling. In Athens, swimming is not a sport, it’s a national pastime and an international phenomenon considering that it is the leading Mediterranean capital to be awarded the most “blue flags*” for its beaches. The coast is so close and the summer days so long, that many Athenians will head for a swim even after a long day’s work. Die-hard swimmers can be found bathing as early as March and as late as November. The tram and public buses take you to nearby paralies or the organized beaches of Faliro, Alimo, Kalamaki and Glyfada in less than an hour. Most organized beaches provide lounge chairs and an umbrella and require a nominal entrance fee. 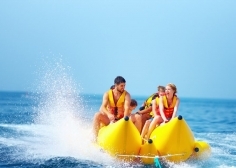 Water skiing, jet skiing, parasailing, hangliding and paragliding are also on offer as are the fun banana boat and tube games that have kids screaming with delight! Beach volleyball and paddle ball are a given and enjoyed most of all by the local crowd. Snorkeling and diving lessons or tours can be arranged and are usually offered at the many beaches along the coast and in the prefecture of Loutraki, about 1.5 hours away from Athens. * The Blue Flag is an exclusive eco-label awarded to 35 beaches and marinas that meet strict criteria regarding cleanliness of the sea and the coast, good organization and safety, as well as the protection of the coastal environment. The hilly and coastal topography of Athens and its nearby towns offers joggers a variety of exhilarating and motivating routes that are sure to remain unforgettable. Schedule a morning or late afternoon run along the path atop Lycabettus Hill for a panoramic view of Athens or through the lush and palatial Zappeion Gardens in the center of Athens. To add variety to your routine, why not take the tram to the esplanade along the Trocadero Marina in the coastal town of Palio Faliro, or Piraeus and jog while gazing at the magnificent yachts docked along the Saronic Gulf. The hilltops and mountains are there for you to enjoy, too. The closest and quickest route for amateurs and novices (with a spectacular view of the city) is the 2.5 km (or 1.5 mile) track that circumvents Lycabettus Hill. When you’re done, have a cup of coffee at the café atop the hill. 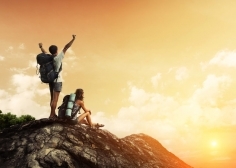 More experienced trekkers, head just 30 kilometers (20 miles) outside of Athens to Mount Parnitha, the largest of the three mountains in Attica. Take the trails and seek out the close on 1,000 aromatic herb and flora varieties and 120 brilliant bird species, fox, hare, ferrets and other mammals. Hidden caves, forests, natural springs, valleys and lush vegetation of this National Forest are believed to have been inhabited since the Mycenaean period. The helpful (and multilingual) tour and travel operators can assist you in getting more information on tours and organized hikes. You can reach the forest by car or by public transport from Athens. Located in the historical Marathon locale, about 40 km (25 miles) from the city, is Schinias-Marathonas National Forest. The tomb, museum, and the artificial Marathonas Lake, comprise some of the basic points of interest for sightseeing in the wider region, made famous by the historic battle between the Greeks and the Persians in 490 B.C. There are about 370 plant varieties here, over 140 species of birds (of which several are rare), and a rich variety of mammals too. Another hiking alternative can be experienced southeast at the Sounion National Forest approximately 50 km (or 31 miles) from Athens and near the Temple of Poseidon. An inspiring coastal drive, along winding roads that overlook the Saronic Gulf and the Aegean Sea, will get you there. The dry climate and mountainous topography of Attica offers several trekking options. Some of the favorite trekking destinations in Attica are: Mount Parnitha: Rematia Hounis, Kopsi Flampouriou, Katafygio Bafi; Mount Penteli: Spilia Daveli, Museum of ancient pit – quarry; Mount Ymittos: Douka; Keratea: Kaki Thalassa. 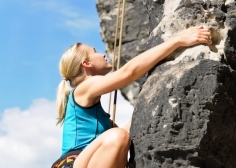 For trekking and mountain climbing, visitors should get in touch with the local trekking and mountain climbing clubs, that can safely guide you in the mountain paths. Golfers can tee off just 12 km (10 miles) outside of Athens in the coastal town of Glyfada. Studded with 15,000 pine trees, and surrounded by vast blue seas, the challenging and tranquil course measures 6,776 yards for men and 5,634 for women. Par is 72. The ideal climate makes for favorable weather conditions. 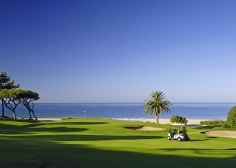 Facilities include comfortable changing rooms, restaurant, bar and a shop selling golf clubs and other equipment. A number of tour agencies offer a selection of golf tours combined with visits to the classical sites of Greece and the Greek islands. There is a Professional Golf Association (PGA) office at the site. Tennis players take advantage of post-Olympic Athens and choose to play a set or two at The Olympic Tennis Center at The Athens Olympic Sports Complex (OAKA) in the suburb of Maroussi just 10 km (6 miles) north of Athens. Designed by world-renowned architect, Santiago Calatrava, OAKA is one of the most spectacularly designed stadiums and one of Athens’ most modern monuments and works of art. This is an opportunity to play where renowned tennis athletes volleyed. The Athens Tennis Academy rents out its OAKA tennis courts to visitors as does the conveniently located Athens Tennis Club, just across from Zappeion. Call to reserve a court. Greece’s rich maritime tradition used to be reserved for the rich and famous. Not anymore, though. Cruising and sailing is now being enjoyed by travel adventurers who appreciate luxuries which have now become more affordable. 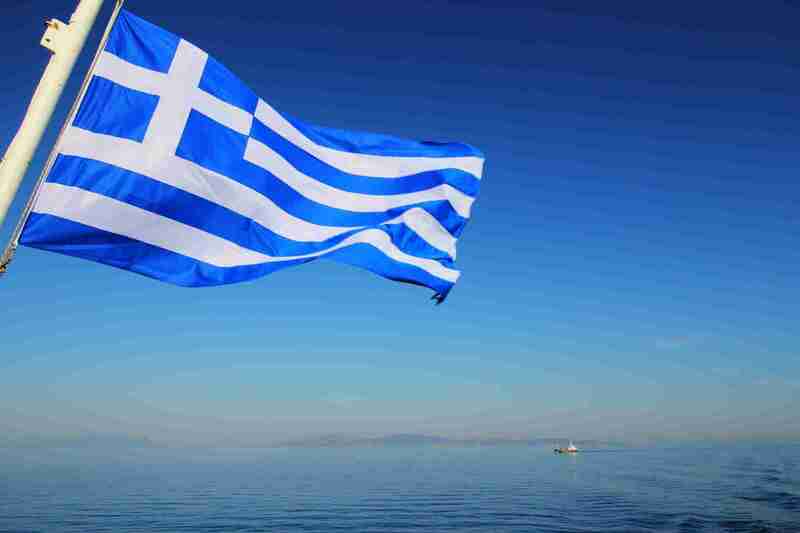 The cruising of Greek seas is very popular and yacht chartering is a booming industry. In Athens, you can charter luxury sailing or motor yachts with a skipper; modern or traditionally styled motor boats for groups; flotilla and bareboat yachts. Most ports and marinas around Athens offer convenient boat and docking facilities and services. There are many excellent sailing schools and charter service companies in Piraeus and along the coastal highway to Glyfada. A city surrounded by sea, Athens is well known for the beauty of its beaches. What is equally or even more beautiful but far less well known though, is the sea bed in the Saronic gulf. Near the coastal line from Vouliagmeni to Sounion, the sea bed in its deeper parts is rocky with fields of poseidonians. The environment provides the necessary circumstances for a complex ecosystem consisting of many different kinds of fishes and plankton. Divers have the opportunity to meet with a hidden world full of colors and rare species. Most naval clubs in Athens have a scuba diving department and there are also many scuba diving schools, which can inform and guide you into the secrets of the sea bed around Athens. 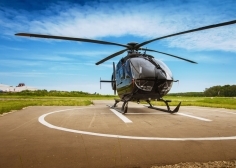 Source: New flightseeing attraction takes off to provide visitors with a bird's-eye view of the city and beyond Lisbon visitors often.. Source: Portugal is internationally renowned as a golf destination and many of its courses, designed by famous architects, offer.. 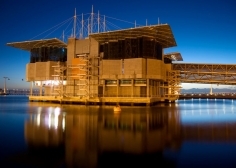 Source: The Lisbon Oceanarium (Oceanário de Lisboa) is the second largest aquarium in Europe, after L'Oceanogràfic in Valencia. More than.. 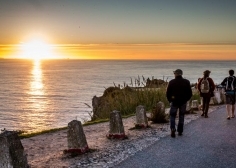 Whether you’re exploring the Alentejo coastline on foot, by bike or in car, at some point during your trip you’re.. Source: Image Source: Apart from swimming in the sea and soaking the sun, there are so many chances for fun.. 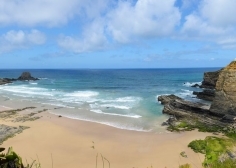 Source: Surfing is a 365-day a year activity in Portugal. Or 366 if it is a leap year. The Portuguese.. 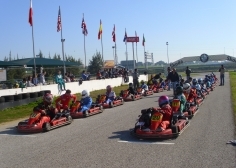 Source: Climbing in Portugal Portugal is not the first place you would think of as a top rock-climbing destination and..
Campera's Karts Have you ever ride a kart? This is your chance! How to get here: Campera Outlet Shopping.. 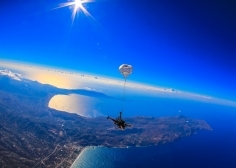 The Experience of a lifetime Doing a tandem jump is the easiest way to feel the thrill of skydiving. After.. 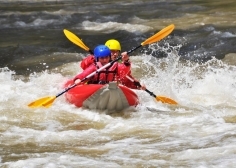 Traditionally Rafting is a sport which consists of descending down fast moving rivers in inflatable boats called rafts. For.. 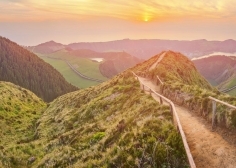 The genesis of the Azores is found upon 1766 volcanoes, nine of which are still active. Underground, almost three hundred.. 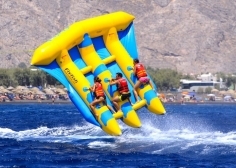 Source: Image Source: During your holidays in Greece, you will find many enjoyable ways to spend your free time. When.. 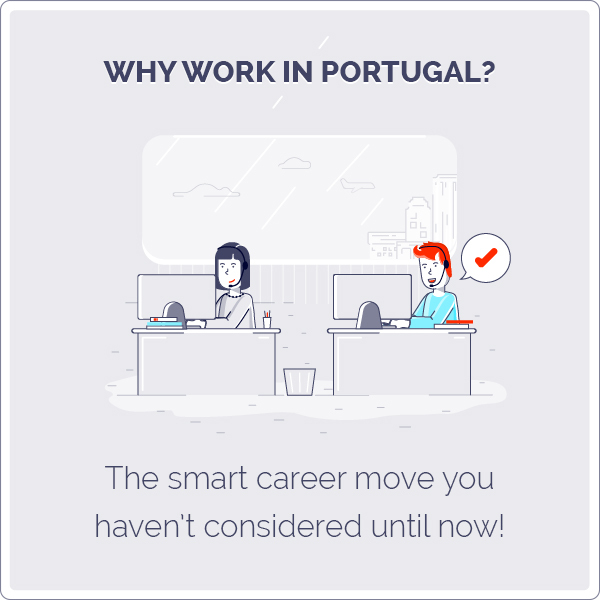 Source: Portugal only has one national park – the Parque Nacional Peneda-Gerês, in Minho – but there are over thirty.. 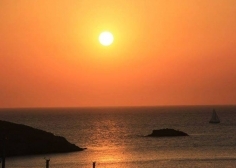 Source: Image Source: Sun, sea, sand, salt water, natural herbs and thermal springs: the Greek recipe to relieve stress Your.. Source: Image Source: About this Adventure Join our adventure ... spend a full weekend on the yacht, discover secluded bays,.. Source: Image Source: Things you can do This statement may surprise a lot of people who might claim that.. 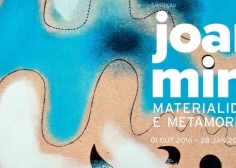 Source: Joan Miró: Materiality & Metamorphoisis at Serralves in Porto, through 28 January 2017 Works of Joan Miró, that.. 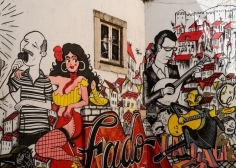 Source: Portugal is an active country whose people enjoy a vigorous type of leisure. They have an abundance of.. Source: Europeans are attached to their past, love and celebrate their history and their culture, take pride in their.. 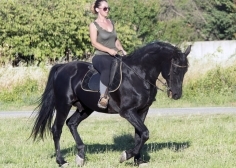 Source: Portugal is the ideal setting for horse riding with its varied terrain and wonderful climate enabling you to enjoy.. 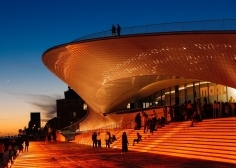 Source: The MAAT – Museum of Art, Architecture and Technology is a new cultural proposal for the city of Lisbon. A museum..